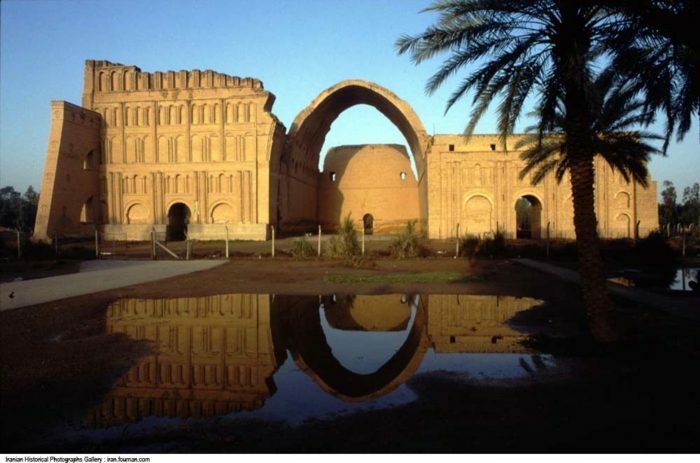 Ctesiphon was built on the site of an older town, Opis, not far from the confluence of Tigris and Diyala. This city was situated on the so-called Royal Road, which connected Elam’s capital Susa with the Assyrian heartland and -later- the Lydian capital Sardes. However, in the long run, the capture by Septimius Severus had a disastrous result. According to a modern estimate, the Romans took away so much gold and silver that they were able to postpone a European economic crisis for three or four decades, and we can imagine the consequences for the Parthians. Their empire was seriously weakened and in 224 CE, the Persian vassal king Ardašir revolted. Two years later, he took Ctesiphon, and this time, it meant the end of Parthia. 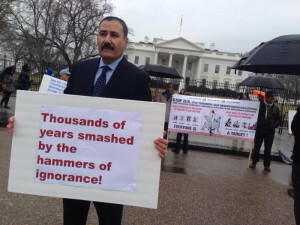 It also marked the beginning of the second Persian empire, ruled by the Sassanid kings. Although Ctesiphon was the capital of the Sassanid empire, Seleucia was not forgotten; it was renamed Veh-Ardašir (“the good city of Ardašir”). The cities remained a military target. In 238, he Roman emperor Gordian III wanted to capture Ctesiphon in order to prevent the new Sassanid empire from becoming too powerful, but was murdered before he reached his goal. Odenaethus of Palmyra was more successful in 262 CE, and so was the emperor Carus, who took the city in 283 CE. But when Julian wanted to do the same thing, he was defeated and killed in action (363 CE). In 540 CE, the Sassanid king Khusrau I conquered the capital of Roman Syria, Antioch. The inhabitants were deported and settled in a new city near Ctesiphon and Veh-Ardašir, which was called Khusrau’s Antioch. There were perhaps four comparable settlements. As a consequence, the Arabs started to call the place Al-Madain, “the cities”.